0.1 m of textual records and graphic material. Fonds is arranged chrologically by item type. Archbishop Anne Germond was born in 1960 in South Africa. She was educated at St. Theresa's School, Johannesburg, a convent Catholic school. She converted from Roman Catholicism to Anglicanism during high school. She and her husband, Colin Germond, migrated to Canada in 1986. Archbishop Germond is a graduate of Thorneloe University's School of Theology, she was ordained as a deacon in 2001 and as a priest in 2002. Germond was the rector of the Anglican Church of the Ascension in Sudbury, Ontario until 2016. She also held the position of archdeacon within the Sudbury-Manitoulin Deanery.She is currently the Chancellor of Thorneloe University, an affiliated college of Laurentian University, in Sudbury from 2015-present. She was elected as the 11th Bishop of Algoma on 14 October 2016, and consecrated and installed on 11 February 2017. Germond is the first woman to serve as the Bishop of Algoma Diocese. On October 10, 2018, she was elected as the next Metropolitan of the Province of Ontario. As Metropolitan, she was also promoted to Archbishop of Algoma and Archbishop of the Diocese of Moosonee. 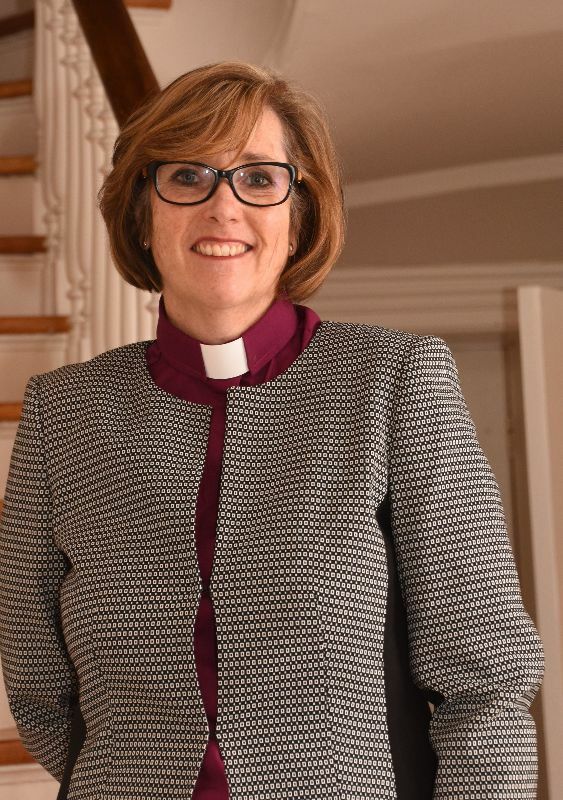 Germond is the third woman to hold the title Archbishop in the Anglican Communion.As Metropolitan Germond will oversee the Ecclesiastical Province of Ontario's synod and house of Bishops. Fonds is comprised of records documenting the activities of Archbishop Anne Germond, Archbishop of the Dioceses of Algoma and Moosonee and the Metropolitan of Ontario. Basic conservation performed on fonds.